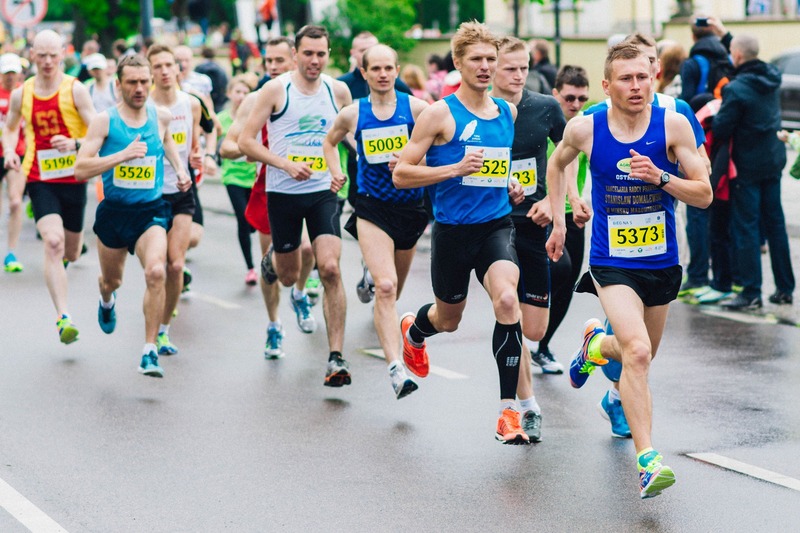 From the experience of working with numerous marathon runners over the years I have found the same issues seem to appear more often that others. I have put this video together to provide a little bit of assistance for people who are running a marathon, whether you are a first timer or are a seasoned marathon runner there will be a tip here which you could adopt and will make a huge difference to your performance. If you aren’t familiar with the term macronutrients, or macros as it is commonly known is simply the term used to describe a food which provides us with energy (protein, carbohydrate and fat). The 2 main ones that you should be focusing on as a marathon runner are protein and carbohydrate. Protein is essential for everything in the body including muscle growth, repair, recovery, hormones, hair, skin etc so ensuring you get sufficient protein is vital. If this isn’t achieved you run the risk of an increased risk of injury, muscle loss plus much more. Carbohydrate is the bodies main energy source and is the one which is most efficient, especially when it comes to running a marathon. It can be stored as a substance called glycogen in the muscles and liver which is then used to provide sustainable energy when you are exercising. During exercise lasting over an hour it is important you are continuing to top up your carbohydrate during the race by using things like gels and sports drinks. Otherwise you will find yourself running out of energy or ‘hitting the wall’ as it is commonly known. What a lot of people fail to think about is the nutritional requirements of their race and so they just aim to make sure they are able to run the 26.2 miles. Unfortunately this can lead to a few issues which could ruin your race. The main issue I have found is that people love to take the free gels on race day to avoid buying more or to avoid carrying them. This could be a serious problem! Everyone’s body reacts differently to foods and one of the worst culprits for causing stomach distress is sports gels. There are so many different brands out there and it is so important to find one that works for you. With this in mind, make sure you have some training runs to mimic the conditions you will encounter on race day, such as fluid intake, what gels you are going to have, what you are having for breakfast, what time you are having breakfast and running at the same time as race day. There is no point in doing all of your training runs at 6pm if your race is going to be at 9am as you will not be familiar with how your body will react to running at this time or after eating breakfast rather than dinner or lunch. You will be much better finding out you need 4 hours between eating and running during a training run rather than on race day and missing out on finishing. My final tip is to plan! It might sound simple and common sense but it is surprising the difference this can make when done properly and how few people actually think about it. When I say plan, you should be planning EVERY part of your training. Get yourself a diary and use it to plan for your race. Thing like what time you are working, when you are training, when you are going to the supermarket, what you are having for breakfast, lunch and dinner, what snacks you are having, what you are having for recovery etc can be such a useful tool. Keeping a note of work times, training times etc will allow you to know what time you have available for making meals so you can ensure what you are making is going to be suitable for that particular day. There is no point in planning a big meal that will take 4 hours to prepare when you only have 30 minutes. Planning for the day of the race is also extremely important. The night before, make sure you have all your clothes ready, car keys, gels, water bottles etc this will help to keep you calm and reduce any pre-race nerves which can lead to sleepless nights and even stomach issues such as diarrhoea. I hope this has been useful for you and you are able to implement these tips into your preparations. If you do need more in depth support, please get in touch to find out how I can assist you further.